Head to the beach to catch an incredible live show that’s unlike any other on the Outer Banks with the ESA Mid-Atlantic Regional Surfing Championship. Known as a qualifier for the big USA Surfing’s Prime events and USA Surfing Championships that are held in California in June, this event attracts talented surfers from all across the region and well beyond to the heart of the Outer Banks for a truly spectacular competition. Fishermen and watersports fans alike will appreciate this opportunity to learn the basics of one of the Outer Banks’ fastest growing sports – kayak fishing – via a free session that covers all the essentials and beyond. 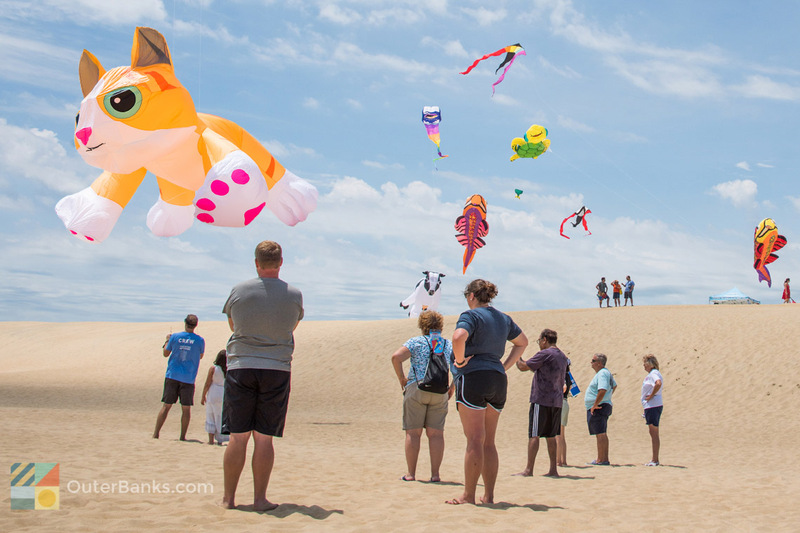 Hosted by the Kitty Hawk Kites Store on the edge of the Nags Head / Manteo Causeway, these summertime Monthly Kayak Clinics will inspire anyone to paddle out and join in the fishing fun. Spectators and active watersports fans alike are welcome to head out to the beach near Jennette’s Pier to catch a spectacular on-the-water show by some of the best skimboarders on the East Coast. The town of Manteo has a rich history that’s connected to sailing and life on the water, and competitive sailors and spectators alike can celebrate this heritage with the Annual One-Design Regatta. Known as one of the most highly anticipated surf contests on the Outer Banks as well as the East Coast, the WRV Outer Banks Pro Surf Contest is a thrill for participants and spectators alike, thanks to a stellar location in the town of Nags Head, and a world of talented riders competing for the title of OBX champ. Enjoy a rare opportunity to see the best surfers on the East Coast go head to head at this “grand finale” event that is renowned as one of the best surfing competitions on the Eastern Seaboard. Enjoy a day at the Manteo waterfront and see wooden boats displayed in the water and on the grounds of the Roanoke Island Maritime Museum at this special event that pays homage to the region’s deep ties to maritime history and culture.